iPhones, iPods, iNet Oh My! look at the specs. It recently occurred to me my daughter has no idea what life was like pre-technological age. I may sound like a dinosaur but when I was growing up there were no ipods or iphones, internet or any of the other technology that is making our lives easy to manage and difficult at the same time. · GPS mapping –yep, guys you can look cool and ask for directions without anyone knowing. 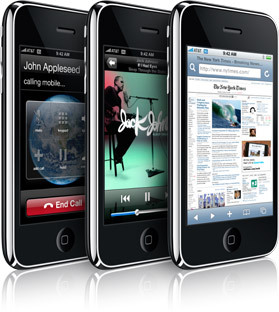 Get more details about the iPhone here….